Nightmarium – Games for Android 2018 – Free download. Nightmarium – Protect the sleeping girl. 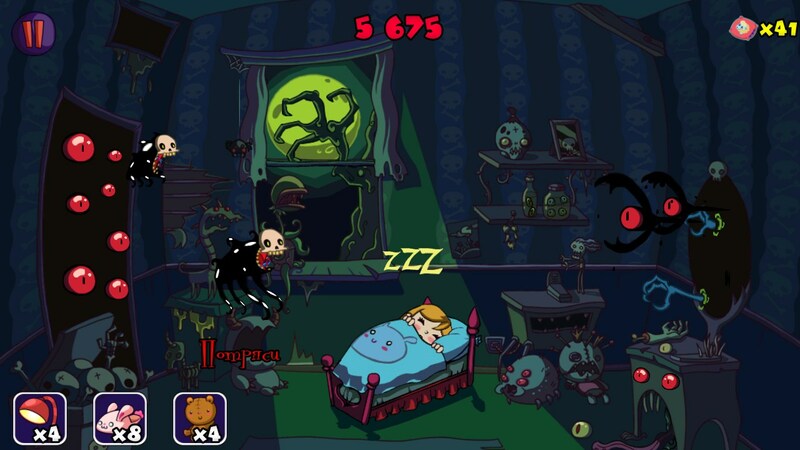 Koshmarium - a fun and simple arcade game for Android, in which we will protect the sleeping little girl from the evil and terrible monsters that come to her in a dream. We have to go down to the bottom and go through all of the most common childhood nightmares. Engaged in developing a game studio Game Garden, which we know in a highly unusual game in the genre of Tower Defense - Battle Mushrooms . 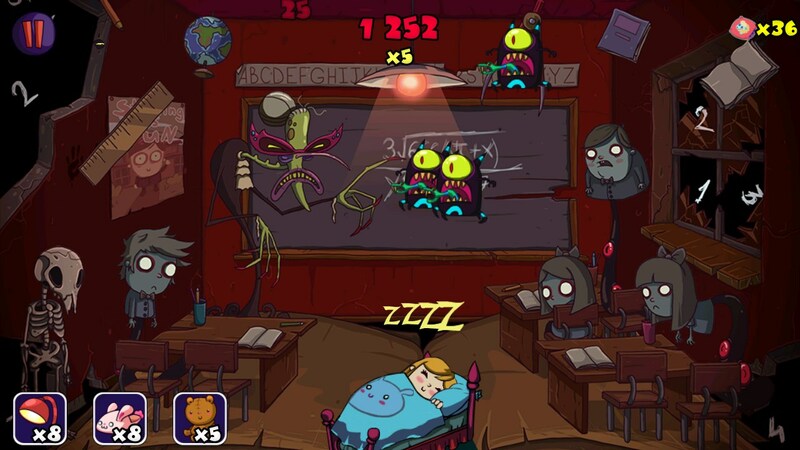 The original developer does not hold, so here we will geimpley addictive, high-quality graphics and beautifully conveys the atmosphere of childhood nightmares. Koshmarium play very, very easy. The whole point of the game is to prevent the horrible monsters close to the girl. If they come too close to it, the main character wakes up and cries. To deal with the monsters we are in many ways. For example, to kill flying eyes, they should crush a finger, the ghosts have to grab and shake, and worms and does need to cut a virtual sword, just like in Fruit Ninja . 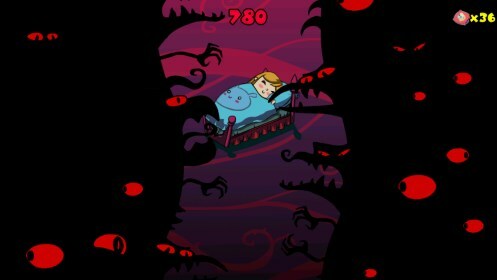 After each level, a bed with a girl falls into the abyss and into a new nightmarish place. Total is present 6 locations, which include classrooms, an amusement park and dentist's office. Interestingly, the game is fully translated into Russian, and during the game we periodically come tips on how to deal with a particular monster. 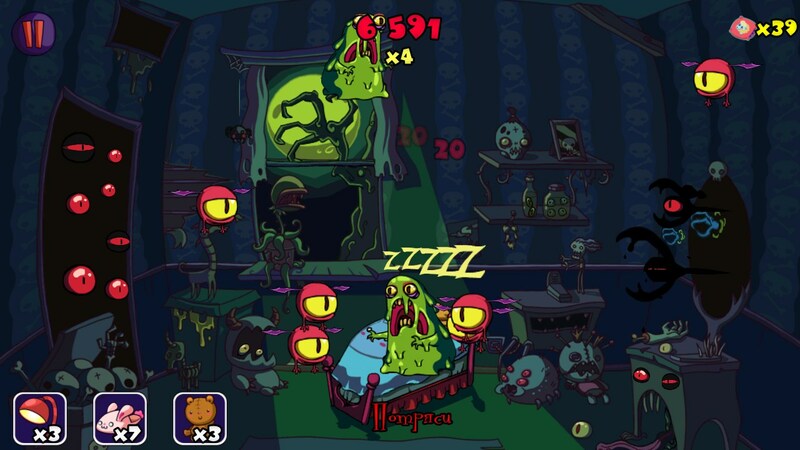 All in the game 10 varieties of monsters, but with each level they become faster and stronger. Material weaknesses in the game there is a very high quality and sensibly made arcade with a good balance. I'm so glad that developers are our compatriots with you. If only added more new maps, monsters, and other modes of the game, then it would be even magical. Summary. Koshmarium - is an exciting and dynamic game that will appeal to all lovers of simple arcade games in the spirit of Temple Run and Fruit Slice . The game is distributed for free ad-and the opportunity to purchase an additional bonus for the money.